The literary world has been buzzing lately about a high profile presidential-related book. It is a memoir by Former First Lady, Laura Bush, entitled, “Spoken from the Heart,” in which she describes her childhood and teenage years leading up to the time when she met George Bush in the late 70s. Of interest to note was that Laura Bush had not actually studied in politics – rather, she studied Education at university, following which she worked as a primary school teacher. Later, she went on to do her Master’s in Library Sciences and was employed for some time as a librarian. Bush has maintained a love of books and reading throughout her life. 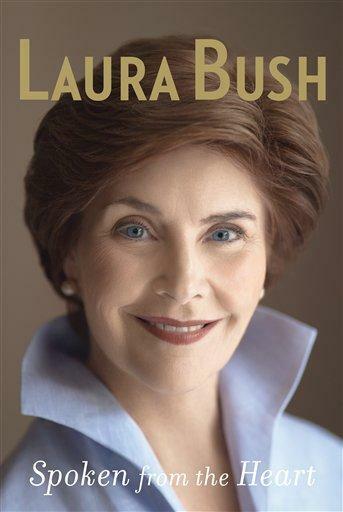 Read more about Laura Bush’s literary influences, or help us add to her infloox page! This entry was posted on May 10, 2010 at 10:56 am and is filed under authors, bestsellers, books, infloox, influence, influences, inspiration, memoir, role models, writers, writing. You can subscribe via RSS 2.0 feed to this post's comments.